The modern F1 calendar, to put it euphemistically, divides opinion. But in this two-week period after the summer break these days you will hardly find a murmur of objection. The stops-offs for that brief spell suddenly become recognisable and wonderful; embody a lot of what F1 is, or should be. We've just been to Spa of course, and this weekend coming we'll be in Monza, the venue for the Italian Grand Prix. 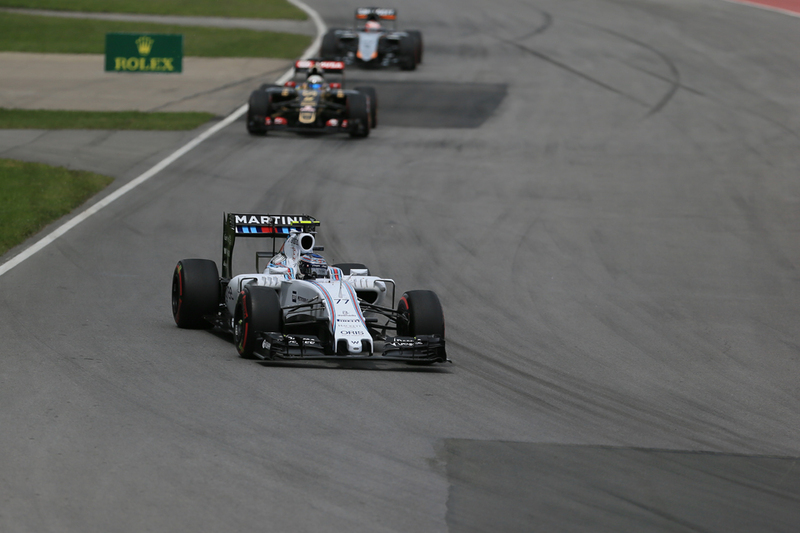 Right now a lot feels right in ordinarily-disputatious F1. But even with this we have reason to believe that, in the latest act of the sport's folly, one indeed that likely outstrips all of the folly of before, Monza in F1 may not be long for this earth. In Belgium Bernie Ecclestone said there was a "good chance" that there won't be a new deal after the current one ends after next year's event. 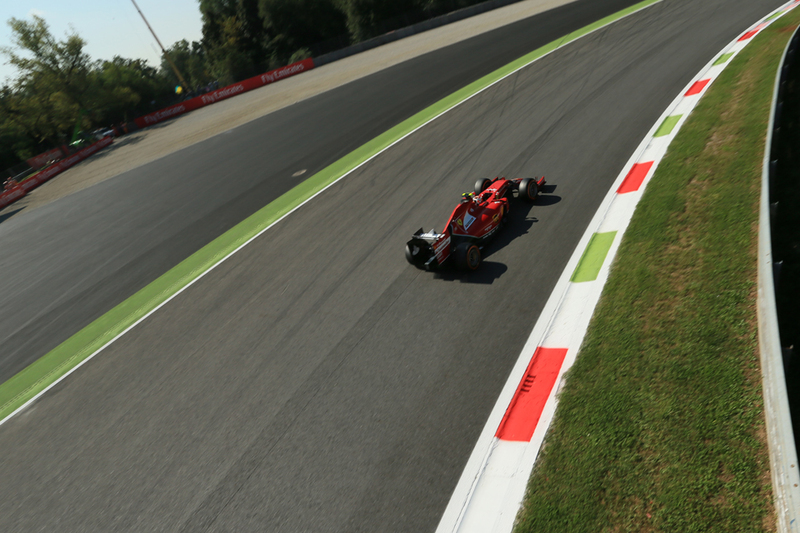 It's far from the first threat to the Italian Grand Prix here but this one is looking difficult to overcome. As ever the lack of financial wedge for Bernie and his friends at CVC Capital Partners is depressingly the problem. Heritage, schmeritage. We can start with that Monza's heritage is near unparalleled - racing cars have been witnessed in combat around this Italian royal park going all the way back to 1922, and the layout, other than the addition of chicanes and the coming and going of a fearsome banking section, has remained unaltered for almost all of the time since. Only in one season, 1980, did Monza not feature on the F1 itinerary. No other track, not even Monaco's, can boast close to that level of ubiquity. It has been the scene of the most astonishing and gallant triumph, the most enthralling and frenzied stipstreaming battle and breathtaking hair's breadth finishes. It's also been the scene of the most horrific tragedy. All of the greats have passed through Monza's gates. Many drivers have been defined here; some have perished. Some spectators have too. 'Yes it is steep'. 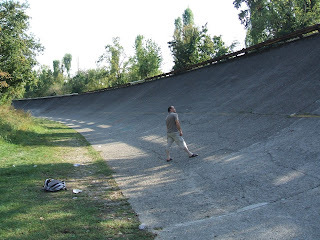 The famous Monza banking. The ghosts of the legends of the past who used to race before a rapt Monza public still seem tangible; whispering in the trees. The atmosphere of an Italian Grand Prix here always hangs heavy with a discernible sense of trepidation and mythology. You never feel alone in the royal park. The venue too features a weighty reminder of what the sport used to require of its competitors in the vast and haunting banking that still broods, almost vertical, over the Monza track (though some dolt decided recently it was a good idea to resurface it...), having witnessed much but now has had its back turned on it by the modern machines, being ever-so slowly overtaken by nature as the metal perimeter guardrail gently rusts. Monza's ambience is as inimitable as it is familiar. The event is tinted by the deep colours of the Italian late summer sun, and the shadows that stretch across the track from the lush trees of the royal park. 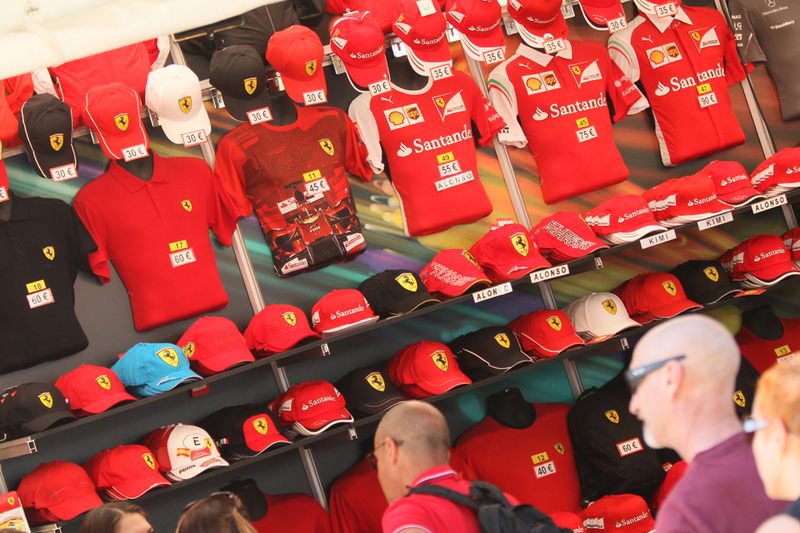 Then there is the sheer passion of the Ferrari-loving tifosi that gather here annually in vast numbers, bedecked in red, waving flags, and providing an atmosphere with an intensity and partisanship that is never replicated elsewhere. Other venues' crowds - Britain's, Brazil's and a few others - have things going for them, but they're still not quite Monza's. Not even Imola's gatherings ever quite matched the aggression. Somehow too the slight chaos, the sense that the weekend is proceeding on a wing and a prayer, the rather scruffy and unpolished feeling, becomes part of it. Somehow it makes the place's highs higher. And if this is the beginning of this grand old lady of motorsport's final act on the F1 stage then we can at least be assured that even if cars are raced for several more centuries nowhere will ever quite recapture what it was about racing here. You either got soul or you don't. Monza has it. Another way that Monza is unique is these days in its layout. It has always been synonymous with speed, and remains so; even today it boasts the highest average speed of all. As mentioned it isn't the undulating driving challenge of Spa, rather it is dominated by lengthy straights separated mainly by chicanes, with only the famous Parabolica that ends the lap being one that would look in place at the Ardennes venue. Nevertheless given both tracks require a low downforce spec Spa is often a good indicator of Monza form, which of course is good news for the Mercedes team which entered the Belgian weekend a fortnight ago perhaps harbouring a few doubts but left it once again on another level to the rest, with the first non-Merc home more than 35 seconds later after the Brackley squad's imperious 1-2. The silver cars had the place to themselves at Monza 12 months ago too. Which in terms of first place means Lewis Hamilton vs. Nico Rosberg once again. Monza last year also was the scene of the great momentum shift between the two, with Lewis claiming the upper hand thanks to Nico's trip down an escape road, and arguably Lewis has maintained the intra-Merc momentum ever since. Nico has a lot to do in other words. As for the rest minds first go to Ferrari. On paper it should go well here, as it has a strong engine plus it tends to put more resource than others into its low downforce set-up so to help a good result at home. But those things were meant to help the team in Spa and it never quite manifested itself, the cars looking oddly off the pace in qualifying and only running up in third in the race in Sebastian Vettel's hands thanks to an against-the-grain strategy. Therefore as in Spa it may be the Mercedes engine customers that are best placed to claim most of the crumbs off the big Mercedes team's table. 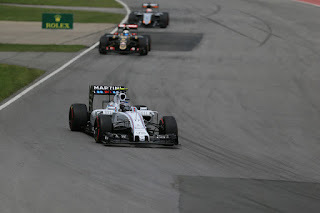 Ordinarily this would suit Williams the best as the Grove cars tend to be the swiftest through speed traps which is a vital characteristic most of the time at Monza, but in Spa the team curiously ceded this particular status, going for more downforce which didn't work out. Lotus again will be well worth watching. Renault-engined cars may struggle with their lack of grunt although Red Bull has had good results here, often via concentrating on acceleration rather than top speed. Honda will be blowing bubbles as usual, in fact at this track more so than usual. fighting for best of the rest? One way or another many thoughts in Monza will be on tyres. For most previous visits the hardest compounds have been brought, as while the track isn't big on wear the heat build up and high wheel rotation speeds has tended to oblige supply of tougher tyres. This time though Pirelli in order to "open up interesting possibilities for race strategy" a few weeks back decided this time it was going softer with the soft and medium. But given what went down (figuratively and literally) in Spa that decision to get brave all of a sudden does not look well-timed. Many eyes will be on the rubber this weekend. Strategy will be interesting whatever happens. Partly due to the hard tyres Monza races have tended to one-stops all round (something that incidentally would have been impossible with Pirelli's much-trumpeted maximum stint lengths), but still even with softer tyres the low tyre wear, long pit lane alongside a 200mph straight and relatively weak DRS here (given the skinny rear wings) will encourage strategists to minimise stops if possible. Yet even if one-stoppers are settled on nevertheless there still is room in Monza races for interesting strategy variations, such as with Daniel Ricciardo last year (via 'offsetting') and Sergio Perez in 2012 (via starting on the harder tyre) employing a contrary approach which allowed them to make up several places late on. Will this weekend be a repeat of 2008? But then again long range forecasts have rain around all weekend this time, so we may be able to disregard almost all of the considerations outlined and have a sodden Monza weekend a la 2008 wherein all bets are off. The tifosi would welcome a repeat winner from then too. Still those same forecasts have showers predicted rather than the incessant stuff of seven years ago, but for the reasons given teams will not welcome Friday becoming a write-off. To think that once upon a time rain was unheard of at this Grand Prix. 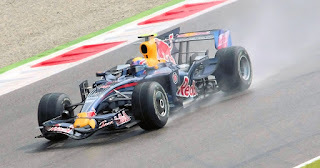 The wet early laps of the 2004 round was precipitation's first appearance in a Monza F1 race. Whatever else happens, if this is indeed Monza's next-to-last appearance as an F1 venue then motorsport's highest level will get a little bit lower.